Experience the Comfort and Luxury of Memory Foam! This Memory Foam Back Support is made from high quality visco elastic memory foam, which molds itself to the body’s shape, allowing distribution of pressure while dissipating body heat. The distinctive contour design of this memory foam back support pillow aids in promoting healthy posture and proper ergonomic positioning; while helping to relieve muscle tension, leg and back pain. 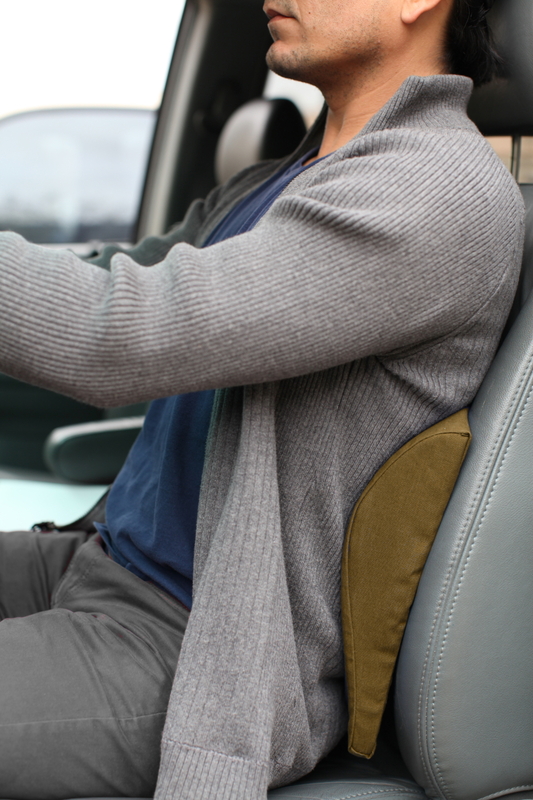 A great support cushion while driving, at any work station, or just reclining at home. The cover is removable & washable. Attached elastic strap secures cushion in place to any seat. Cushion size is 11" wide. Available in Black or Tan.